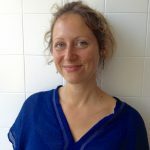 Eloise is a fully licensed, classical acupuncturist with a Bachelor of Science (hons) in Oriental medicine and acupuncture from the International College of Oriental Medicine (ICOM), East Grinstead. She is a nutritional therapist with an advanced diploma in nutritional healing from the Nutriheal foundation. Combining her interests in natural, non-pharmaceutical approaches to healing, Eloise offers a holistic approach; using nutrition, naturopathic techniques, acupuncture and lifestyle advice to support her clients to establish optimum health. There are many conditions that acupuncture is sought out for. From migraines to back pain, infertility, digestive disorders, anxiety and more. Fundamentally, acupuncture is a preventative medicine as it works to maintain the body’s equilibrium. It is also used to alleviate immediate symptoms; whether chronic or acute. As a member of the British Acupuncture Council (BAcC), the UK’s largest regulatory body for practitioners of traditional acupuncture, Eloise adheres to their professional codes of conduct & safety. “Eloise is a very natural healer. She is kind and compassionate and puts me at ease during our acupuncture treatments. I deeply value this time when I can be supported to rest & relax while she works her magic. In my work organising healing events, I’ve met hundreds of talented therapists over the years; I certainly count Eloise as one who I will continue to return to time and again.” – Janee Swan. Wellbeing events management & yoga-camp co-ordinator. “I’ve had IBS and mild anxiety for the past three years and I went to see Eloise when I was at my wits end. Honestly, I didn’t expect much change as I’ve suffered so long but after our 1st nutrition consultation together my symptoms improved HUGELY! Her advise was very straight-forward, but it really helped to have someone pin-point the areas where I can make priority changes, then to have her continued support as we tailored a diet and life-style plan that worked with my work/life schedule.” – Juliana, Brighton.